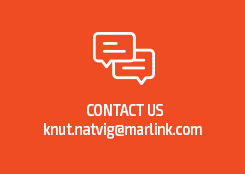 Oslo, 28 June 2016 – The Hamburg headquartered John T. Essberger (JTE) Group will migrate the primary communication systems of its entire fleet to Sealink, Marlink’s global maritime broadband VSAT service. The Installation on 22 chemical tankers and 9 dry cargo vessels is expected to be completed by the end of the year. Essberger was founded in 1924 as Atlantic Tank Reederei by tank ship pioneer John T. Essberger. The Essberger Tankers division fleet consists of highly sophisticated chemical vessels, while JTE Dry Cargo operates a fleet of modern bulk carriers, multi-purpose tonnage and container vessels, as well as cement tankers. Essberger’s move to VSAT reflects its commitment to technical innovation combined with safety required by Lloyd’s quality assurance guidelines. The higher bandwidth and cost control offered by Sealink VSAT enables them to deliver new crew communication facilities and introduce streamlined processes for ship/shore data transfer. As Sealink is a global service, Essberger vessels can operate worldwide with data connectivity and voice communication always available. All vessels will also be equipped with the XChange communication management system to comprehensively manage the fleets’ IT and communication tasks via a single, integrated platform. Essberger will manage its voice, VoIP, and data connectivity for corporate and crew usage and also utilise the Universal Remote Access (URA) function of XChange to keep full control of their onboard IT network from shore. All vessels will be equipped with two voice lines and Wi-Fi access points to allow crew to connect with their own personal devices.